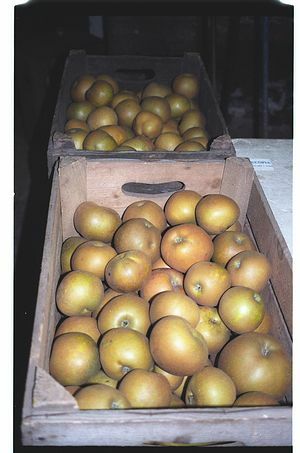 A russett variety with large show quality fruits, lovely rounded pale golden brown fruits. Rich, distinctive, nutty flavour and a very reliable, heavy cropper A valued new addition to the range of russet apples. Recommended. For picking and eating late September to late November. King of Pipps, Kidds Orange Red and Winter Gem are just some of the most suitable pollinators.